In 2012 I was attempting to break the world record for cycling around the world. I left London on the 18th February 2012 and 3 weeks in I was way ahead of schedule averaging nearly 180 miles per day. My dreams were then shattered in America when a driver ran me over doing 50 miles per hour. I suffered severe whip lash, concussion, torn ligaments and a compression fracture to my spine. This ruined my dream of the world record but I still wanted to continue in order to follow my dream and raise money for a charity called Solar Aid. My average speed dropped down to 140 miles per day and it became a race to get back to London in time for the Olympics. I arrived back in London with a week to spare having covered 16,000 miles, 12,000 of them with a fractured spine. 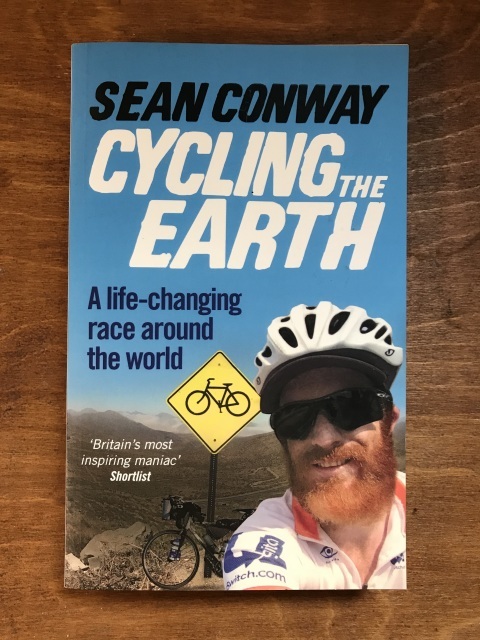 Sean Conway was stuck in a life dead end of his own making when he heard about a round the world cycling race. He was immediately inspired – but it was a huge undertaking and he’d hardly been on a bike in years. Could he really cycle all the way round the world, solo and unsupported? In the course of his 16,000-mile journey, Sean travelled the famous pan-American highway across the Atacama Desert, outran tornados, relied on fellow travellers to ferry water across the Australian outback, and inadvertently joined a cycle club in Mumbai. He learnt things about himself he didn’t know and rediscovered a spirit of adventure that changed everything. This is a book about an amazing and sometimes incredibly difficult journey, but it’s also a book about never giving up when there’s an opportunity to follow your dreams.